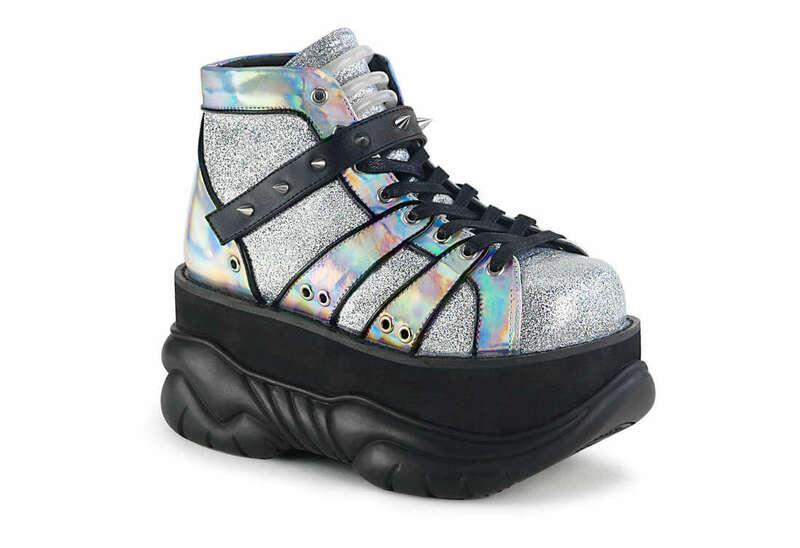 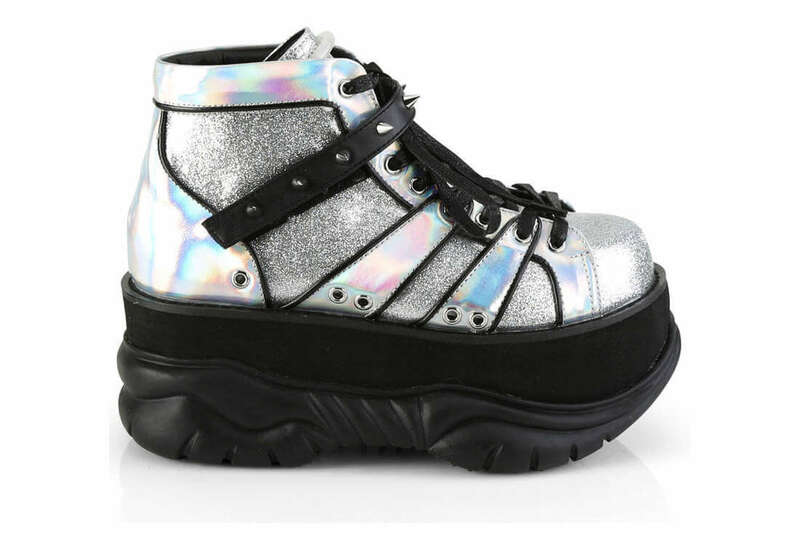 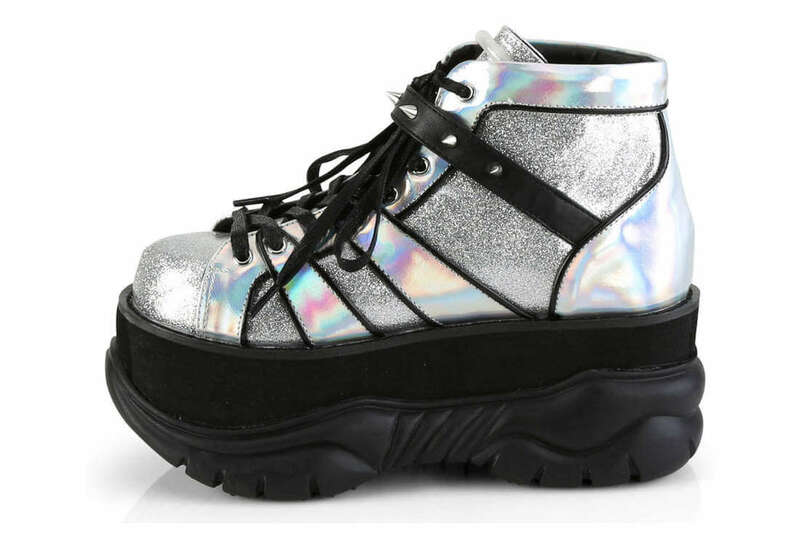 The Neptune is a silver glitter platform shoe with hologram trim. 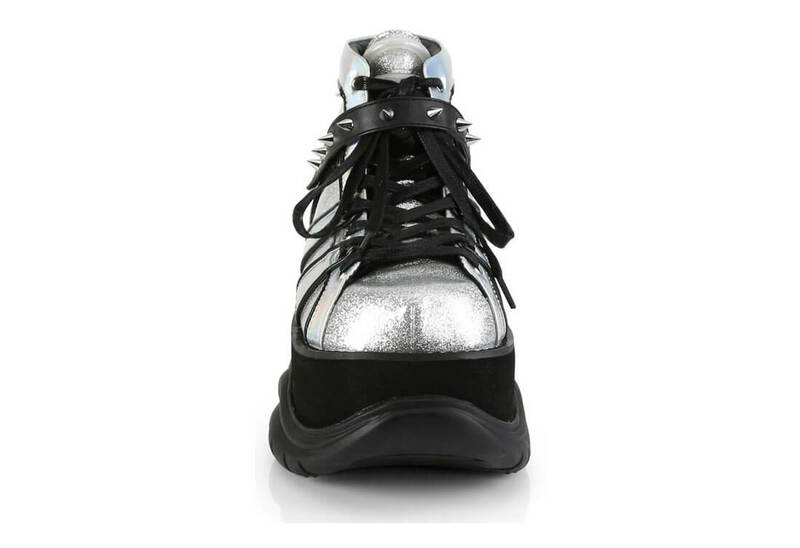 The front of the shoes lace-up and has a velcro strap adorned with cone spikes. 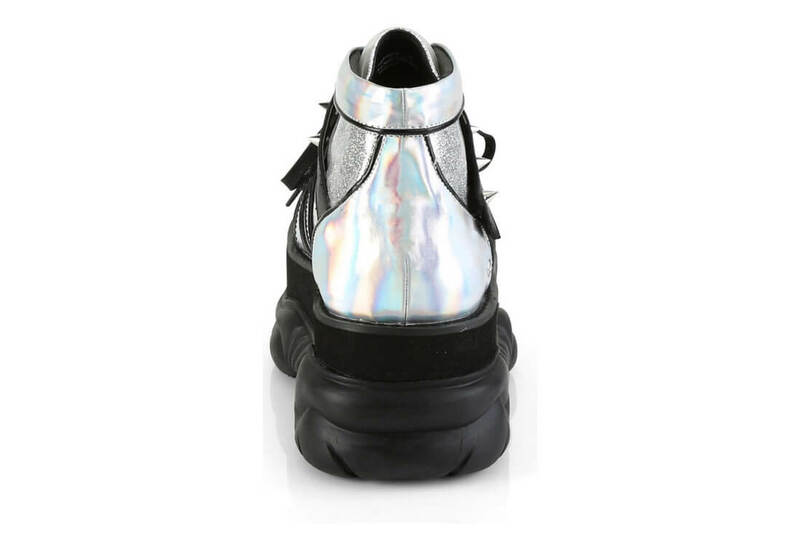 The tongue has UV reactive tubing at the top that glows in black light. 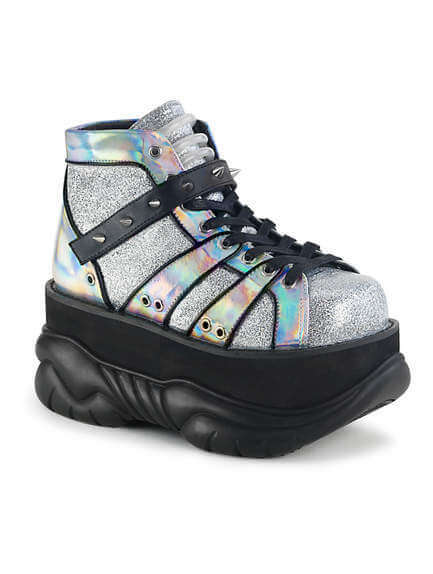 Comes with a 3 inch molded platform.